Not so very long ago in Ireland, unwed mothers were deemed unfit to raise their children. The “sinners” and their offspring were relinquished to the charge of the nuns, confined to convents around the country to work off their debt to the church and watch as their babies were given to more “deserving” Catholics. Philomena Lee was one of these beleaguered young mums, and Steve Coogan (of all people!) decided her tale would make a great buddy picture. Well, weirdly enough, his instincts were not too far off the mark. Coogan and Jeff Pope adapted the book The Lost Child of Philomena Lee, written by Martin Sixsmith. With Stephen Frears at the helm and the great Dame Judi Dench in the lead, Coogan’s cooked up a surprisingly buoyant depiction of what, by all accounts, should be a devastating tale. Coogan plays Sixsmith, the world-wearied political journalist who stoops to writing Philomena’s human interest story out of desperation. As he and Philomena attempt to track down the child she was forced to give up nearly 50 years before, an odd couple road picture develops. It’s a strange structure for an enlightening bit of nonfiction about a systemic abuse of power and of faith – one that, through the pair’s sleuthing, uncovers a fascinating parallel with a more modern crisis of shame and secrecy. Coogan’s script is sharp, funny and layered, and Frears’s direction settles into a decidedly understated presentation of content that would so easily become maudlin or melodramatic. 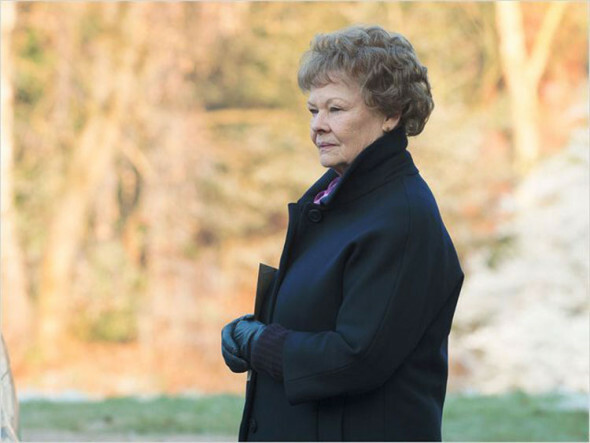 But let’s be honest, Dench is the reason to see Philomena. As always, she carves out such a unique and real character that the term acting feels too cumbersome to describe her work. Her natural presence and effervescent depiction are a perfect offset for Coogan’s cynical detachment, and the warm chemistry the two share is infectious. In fact, there are times that the cheery tone feels almost dismissive of the deep injustice uncovered in the story. In 2002, writer/director Peter Mullan produced the film The Magdalene Sisters, an emotional wallop of a movie that told of Ireland’s shameful not-so-distant treatment of unwed mothers and other girls deemed disreputable by their church and families. It’s a powerful film, but compared to Philomena, it’s a bit like being beaten about the head and neck. Instead, Philomena uses one woman’s resilience to set the tone of a film not about tragedy, but about forgiveness and redemption. It doesn’t always work, but it’s an honorable attempt.